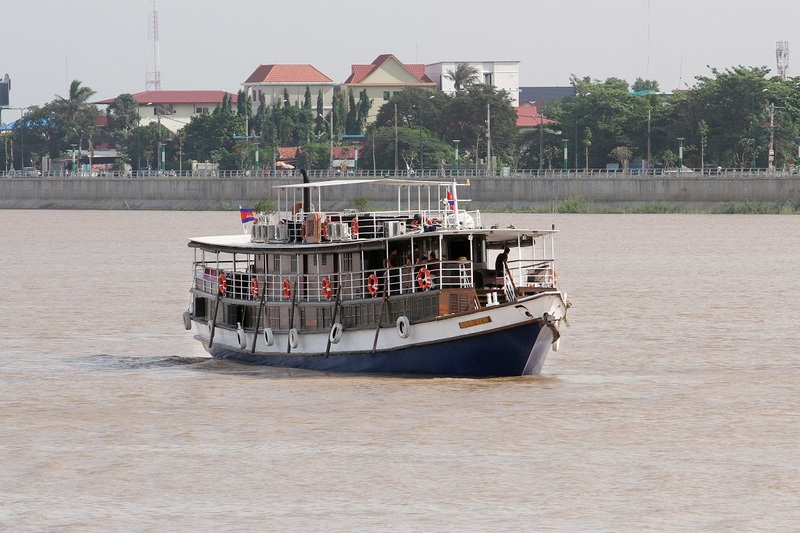 ABOUT to step aboard the little riverboat Toum Tiou 1 in Vietnam's Ho Chi Minh City for a trip up the mighty Mekong River to Siem Reap in Cambodia, we suddenly baulk at what we see lays before us. And all of which contribute to a sailing vacation that's a virtual yesteryear-on-water, and which most who've already indulged, say is simply unmatched. 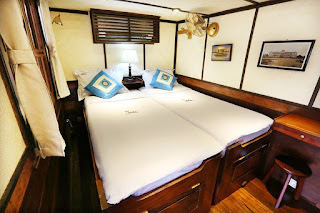 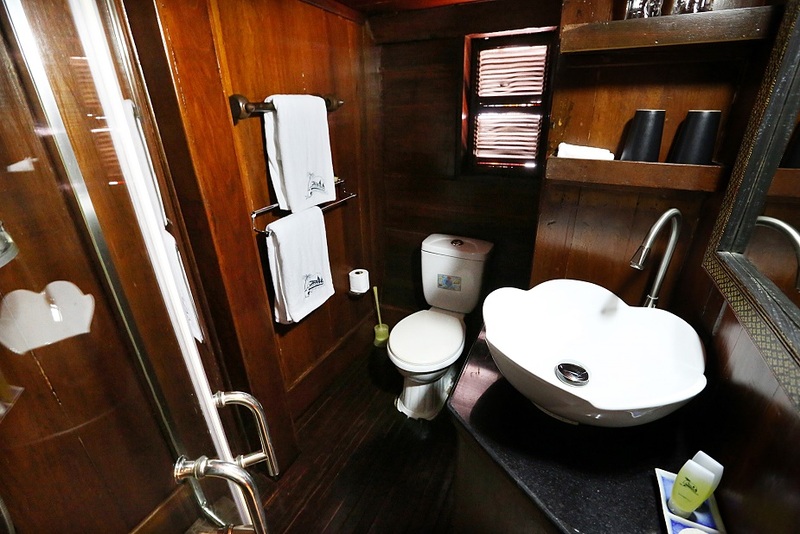 At a tiny 38m in length, this little gem carries just twenty guests in ten cabins, and because of her shallow draft of 1.7m can sail at literally arm's length of riverbanks and beaches, jungles' flora and fauna, and villages and historic buildings for wonderfully up-close viewing and picture-snapping. And awaiting us at each day's end was our comfortable air-conditioned cabin with king bed and a hair-dryer for m'lady. 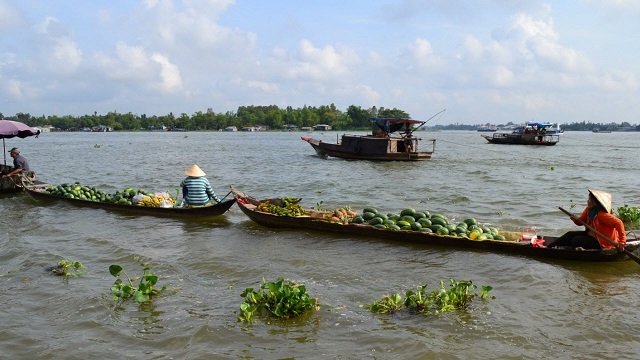 And sights ranged from the amazing ruins of Angkor Wat, at 163ha (402 acres) the largest religious monument in the world, to buzzing markets with their diversities of fruits and vegetables, seafood and meat products. Plus we poked our noses into village life on shore and on stilts over the river, and probably most memorable of all, dropped into a class at a tiny school where the kids' boisterous welcome for us was nothing short of eye-watering. 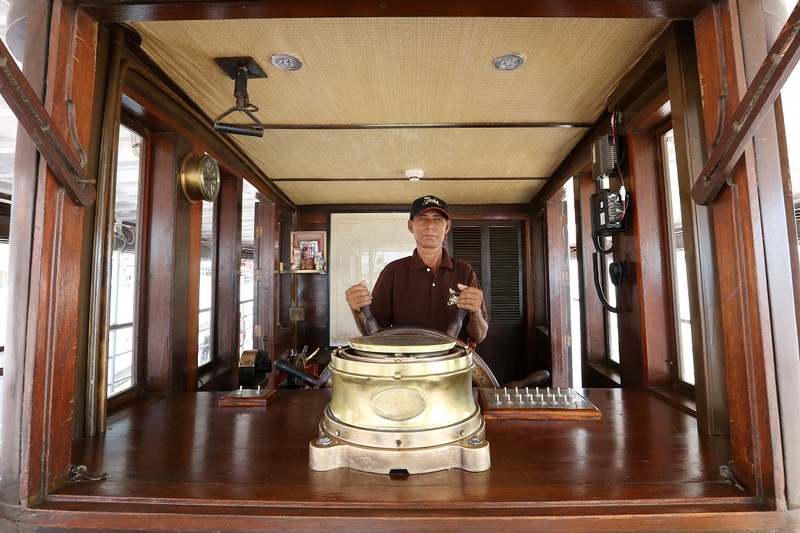 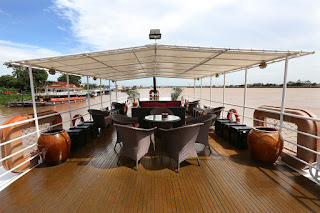 Toum Tiou 1 also offered onboard cooking classes where we learned a bit about how to whip-up Asian delights on our return home, talks were given on the region's history and culture, and there was even gear aboard for a spot of fishing too.